Approximately 300 seeds in 0.1g packet.A useful kitchen mint with lots of large, slightly hairy .. 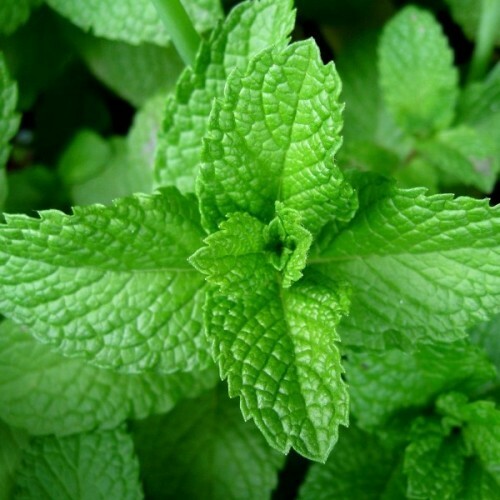 It is a generally upright, woody-based perennial which is primarily grown as a culinary herb in ..
European in origin, peppermint is probably the best known of all herbs. Its smell and flavor permeates our world; it is in our toothpaste, mouthwash, gum, tea, candy and pairs particularly well with chocolate. Peppermint has been with us for a long time. 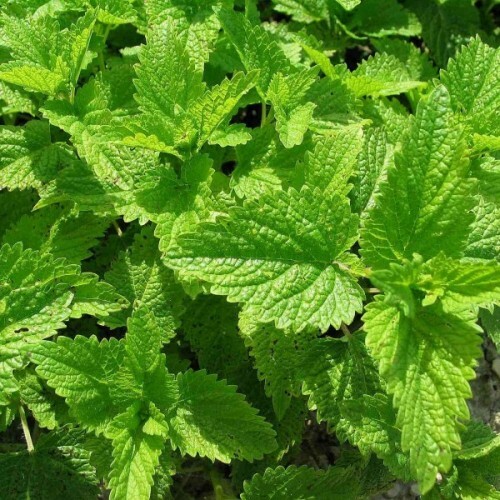 Its leaves were used for food and medicine in ancient Egypt, Greece and Rome. 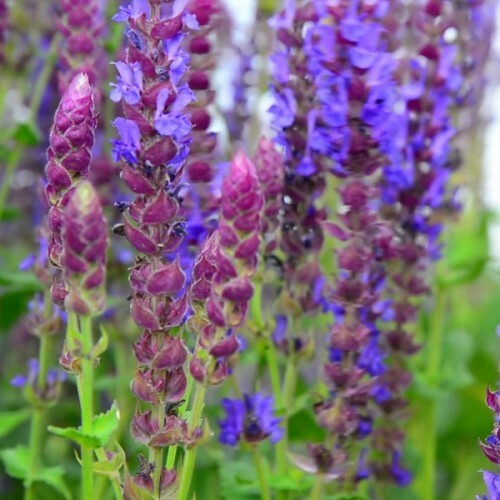 The clump-forming herbaceous perennial is an aggressive plant that spreads quickly by underground creeping stems called rhizomes. So, plant it only where you want it to spread. Its crisp green lance-shaped leaves line upright stems and are highly fragrant. Fragrant whorls of lilac-pink blooms line the leafy stems in summer. these draw bees in droves. Peppermint is very easy to grow and adaptable. 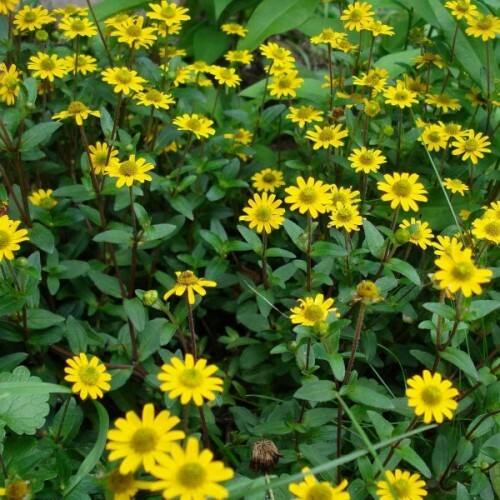 It thrives in full to partial sun and evenly moist soil with average to good drainage. Because of its aggressive habit, it is best planted in a trough or container. Divide plants every couple of years. Mints grown outdoors prefers full sun. It will grow indoors satisfactorily under standard fluorescent lamps, and exceptionally well under high output T5 fluorescent grow lights, compact fluorescent, or high intensity discharge (metal halide or high pressure sodium) plant growing lights. Keep standard fluorescent lamps between 2 and 4 inches from the tops of the plants, high output and compact fluorescents approximately one foot above the plants, and HID lights between 2 and 4 feet above the plants, depending on wattage. Have an oscillating fan gently stir seedlings for at least 2 hours per day to stimulate shorter, sturdier, and more natural plant habit. Water regularly, being careful not to overwater. Allow soil to go almost dry between watering, then soak thoroughly. Peppermint and spearmint are beneficial to cabbage, kohlrabi, broccoli, and the other kales by repelling or distracting cabbage fly, ants, and cabbage looper. Spearmint is noted for its ability to repel or distract ants and aphids. Approximately 400-500 seeds in 0,1g packet. Keep seeds in the refrigerator at least for 7 days before sowing. Start seed indoors 8 to 10 weeks prior to last spring frost (March - May). Or, sow directly outdoors in partially shaded, moist soil. Mint seeds generally germinate between 12 and 16 days. Cupressus lusitanica is an evergreen tree, 35 m high, with a dense, conical crown. Native to Cen..
At its showiest, few shrubs are as pretty and effusive as the common smokebush. Its small flower.. Approximately 300-400 seeds for 7-8 square meters bed.Flat-leaf type with long stems and large p.. This is certainly one of the most beautiful of the North American deciduous trees. Eastern redbu..